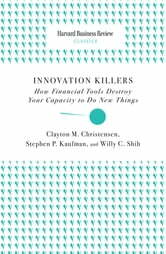 In this seminal article, innovation experts Clayton Christensen, Stephen P. Kaufman, and Willy C. Shih explore the key reasons why companies struggle to innovate. 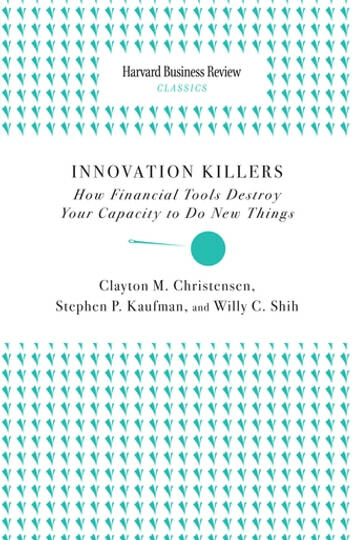 The authors uncover common mistakes companies make—from focusing on the wrong customers to choosing the wrong products to develop—that can derail innovation efforts, and offer a better way forward for management teams who want to avoid these obstacles and get innovation right. Since 1922, Harvard Business Review has been a leading source of breakthrough ideas in management practice. The Harvard Business Review Classics series now offers you the opportunity to make these seminal pieces a part of your permanent management library. Each highly readable volume contains a groundbreaking idea that continues to shape best practices and inspire countless managers around the world. What Is Your Money Telling You? Debt-Free College Education or a Debtor's Burden? How To Get Out Of Debt Forever! Use These Step-by-Step Tactics That Helped The Author Get Out of $6,000 In Personal Debt!